Public Remarks: Best of Los Alamos & the Central Coast Wine Country. 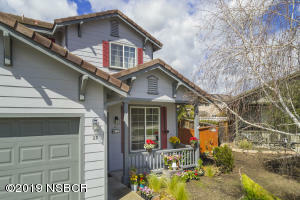 Tucked away in a private culdesac with both park and mountain views. 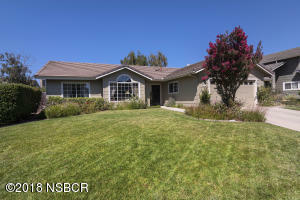 Simply gorgeous ranch style home on over an acre in a lush setting, including your own orchard and gardens. Park views with room to roam enhance the patio for your entertaining and BBQ's at sunset. Designed with top quality finishes & newly completed in 2019. In addition to the open floorplan, enjoy quiet dining, a study and office, plus a huge extra room for your art studio, library, office, guest studio or play room. 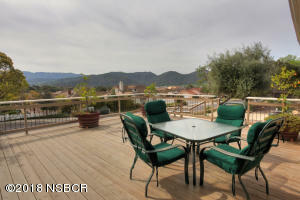 In addition there is a 4th bedroom area, just perfect for that extra guest in Los Alamos. Plentiful parking and endless open space surround this one of a kind turn key property. Directions to Property: Los Alamos, take Bell Street and go left by Bob's Wellbread on Augusta to end of culdesac. Very Private and backs up to the open space and park area. Information is deemed to be reliable, but is not guaranteed. © 2019 MLS and FBS. Prepared by Sharon Currie on Thursday, April 25, 2019 5:29 AM. The information on this sheet has been made available by the MLS and may not be the listing of the provider. Public Remarks: Fabulous custom estate view home on 10 acres features huge open concept great room with gourmet kitchen, top of the line appliances. Living room features custom wood burning fireplace and a wood burning stove off the kitchen/dining room area. This is an entertainers dream both inside & out! Enjoy spectacular views of SYV with the Santa Ynez Mountain range to the south and the San Rafel range to the north all from approximate 1,100 sq ft covered wrap around veranda. 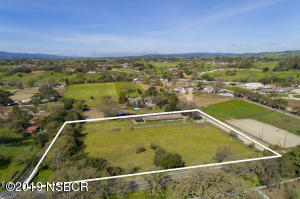 Huge car barn/workshop with apartment and fenced pastures for your horse or vineyard. Shared well. Directions: From Solvang on 246 turn left onto Alamo Pintado going north then go past Baseline and turn left onto Random Oaks Rd. Public Remarks: The gateway of the Santa Ynez valley, Los Alamos offers newer homes in a great neighborhood nicely placed next to the historic downtown. For views and easy access this comfortable home accommodates a family well. The master suite is downstairs. The kitchen opens to a smooth-scape backyard and barbecue area with one large side yard for animals and the other for artichokes. Having become a mecca for foodies, the quaint eateries and famous bakery, ''Bob's well Bread'' are extremely popular. The beer tasing and wine tasting , the special plates and antique shops make it a destination. The peace and safety of a small community, the large surrounding foothills and fields make it a beautiful home for you..
County: Santa Barbara Cross St: Baseline Ave.
Public Remarks: Authentic, adorable and move-in ready, this comfortable 2 bedroom, 2 bath home stands alongside a farmhouse built in 1911. The large redwoods and grand Palm tree give distinct reminiscence of early California and the homes built on untamed land. The property feels big. Tucked away on a quiet street by the cul-de-sac, the neighbors are friendly and open. The farmhouse stands as a ''Structure of Historic Merit'', a variance allowing the use of the historic building code. The newer residence has a country glow with all the comforts of present living. It's in a town of 300 residents with the distinguished Ballard School from 1882. Enjoy California living in an ageless community that is as safe and joyful as it's always been. You can see the Milky Way shining brightly every night. Directions to Property: From Baseline off Alamo Pintado, take the second right before the hill. From 154 or Refugio on Baseline take the first left at the stop sign in Ballard. Directions to Property: Alisal Road to Chalk Hill. Right on Elsinore, property on left. Public Remarks: Tucked away with uninterrupted southeasterly views of the Santa Ynez Mountain Range. 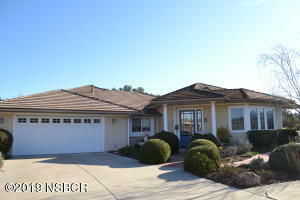 In excellent move-in condition, almost 3000 square foot 3 bedroom home in Solvang, newly updated kitchen with high end appliances, new tile and wood flooring, new wrap around deck and new spa. large office with extensive amount of built-in cabinets. The new wrap around deck provides an area for private relaxation or entertaining lots of friends. Subject to owner finding a replacement property. Public Remarks: As you walk into the living room your eyes are drawn up to the bright vaulted ceilings and floor to ceiling windows flooding the room with light. Facing the South, this condo brings the light right through the open living room through to the kitchen, dining and family rooms. Appointed with granite counters, convenient island and high ceilings this kitchen is perfect for an evening dinner party or a quiet night at home. For the utmost privacy, head upstairs to the master to relax in the soaking tub, or take a nap in your bed with views of the Santa Ynez Mountains. You're never far from anything with grocery stores, schools and restaurants so close. 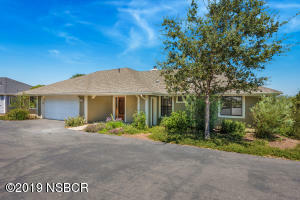 Living in the Santa Ynez Valley was never so convenient or affordable. Directions to Property: Highway 101 to Hwy 246. Exit Hwy 246, west,. Development is located on corner of HWY 246 and La Lata drive. 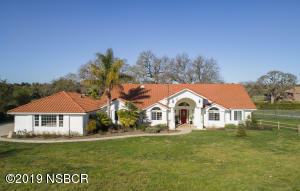 Hosted Tyler Henry- Wonderful, rarely available 4 bedroom 3 bath Mission Oaks home with views. 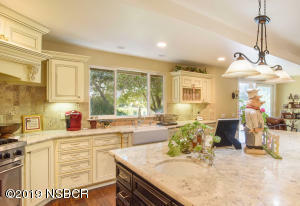 Public Remarks: Wonderful, rarely available 4 bedroom 3 bath Mission Oaks home with views! Newly installed Furnace and Air Conditioning units with new ductwork. Newer flooring, paint, countertops, and exterior upgrades too! 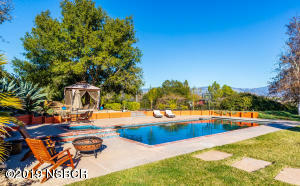 Santa Ynez Valley gated community with pool, tennis court and clubhouse. Conveniently located to New Frontiers Market and several shopping centers with all the important amenities and shops. Enjoy a lifestyle of pathways and wildlife, and lock-n-go convenience to travel with ease! Public Remarks: Home sweet home! 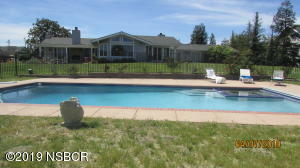 This 3 bedroom/2 bath home with attached 2 car garage in the Nyborg Estates development of Solvang is conveniently located walking distance to schools, shops, and restaurants. This home has a bright and sunny kitchen, a breakfast area that overlooks the fenced backyard and a fireplace in the family room. HOA fees are $165/quarter for the Master Association Fee and $85/year for the Planned Development Fee. Directions to Property: Mission/Hwy 246 to Nykobing and right on Aarhus. 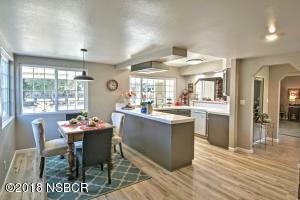 Public Remarks: This home has been recently redone and you will fall in love with the new Gourmet Kitchen. All high end finishes and new doors in the main living areas. Outside has been turned into the ideal playground for Bocce, Pool, Lawn Yahtzee, including a new Gas Outdoor Fire pit. New designer fencing, and Landscaping. A separate studio for the mother/father in law or older children with a soaking tub. .Ideal location in the desirable Skyline Park where water and roads are included in your association fee. New dual zone heating and Air Conditioning units. Directions to Property: Refugio-Fairlea-Highland-Left to 1240. Public Remarks: Home Sweet Home. Skytt Mesa dream location. End of the Cul-de-Sac . One of the few homes with a separate Casita that has a kitchen and fireplace. A large quarter acre lot, level yard, with gorgeous views and open space to the west of the entire backyard fence. Great walking trails. Easy access to the park and schools. Enjoy the peace and quiet. 3 car garage. Directions to Property: Solvang Mesa Dr to Oak Ridge Rd on the corner of Sawleaf and Oak Ridge. Public Remarks: Ideally located a few short blocks from Bob's Well Bread Bakery, tasting rooms & antique shops, this large single-story rancher features 2 master suites and total of 4 beds, 3 full baths, dining room fireplace & office/den. Perfect for multi-generational living. Option for private guest suite. Large parcel spans block, easy backyard access, potential for ADU. Fenced yard, patios & pergola. Attached oversized garage. Covered entry portico. 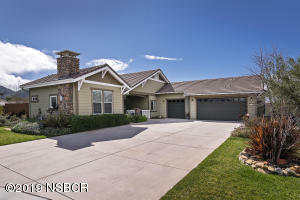 Lovely wine country property in Los Alamos. Public Remarks: Beautiful Lomita De Oro single family home has 3 bedrooms and 2 bathrooms, 2,233 sq ft, open floor plan, fireplace, and galley kitchen. Entertain or study in large loft on 2nd floor that can be used as an office, den, family room, or game room! Relax in the spacious backyard with view of vineyards. 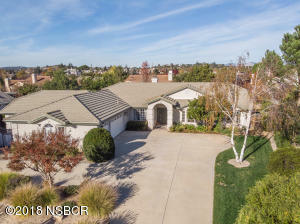 Public Remarks: Located very near the Village of Solvang in the Village Collection neighborhood., this spacious home boasts both formal & informal living areas. Soaring ceilings, two fireplaces, lots of natural light & windows, library with built-in bookcases, and a large kitchen with dining area opening to the expansive family room. The ample master bedroom en- suite has two walk-in closets and opens the patio and pool/spa in the backyard. An elegant lifestyle near all the restaurants, shopping, Alisal River Course, walking paths, and open common areas of the association. Directions to Property: Hwy 246, south onto Alisal Road, left onto Valhalla Drive, first left onto Freya. Public Remarks: Mission Oaks is a gated community with gorgeous views of the Valley and mountains. 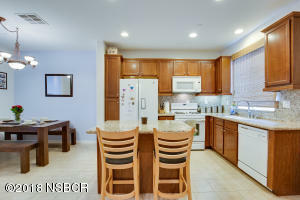 Central to all, this property has been fully remodeled with beautiful amenities. Granite counters, hardwood floors throughout, light and bright. Entertainers kitchen and a nice flow thru the house. Vaulted ceilings and freshly painted. Sit out on the patio which accesses both the family room and master bedroom and have that first cup of coffee to watch the sun come up. Gorgeous temperature controlled wine cellar in the two car garage. This is a must see property. 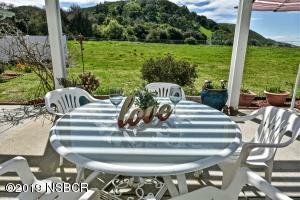 Public Remarks: Located in Santa Ynez Oaks with beautiful panoramic views of the mountains. This property is located in the Ballard School District. The kitchen, living room and baths have been remodeled. This home has newer dual paned windows throughout. 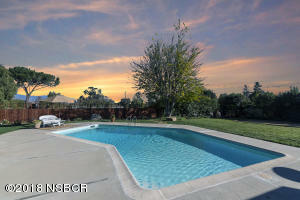 It has a pool, tennis court, detached 3 car garage and wine storage room with climate control. all on 3.69 acres. There is huge potential for this home to shine. Directions to Property: Hwy 246 to Quail Valley Road. Turn on Dove Meadow Rd. 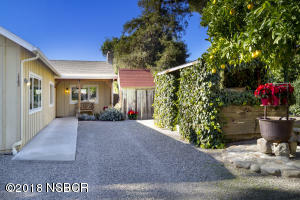 Brand-New construction in Los Olivos. Charming Craftsman-Style home + 26x52 workshop w/ Office/Apt. 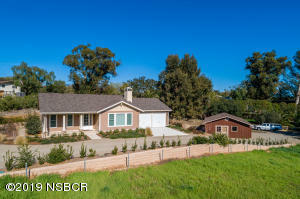 Public Remarks: Rarely available brand new construction in beautiful Los Olivos. Charming Craftsman-style home with open Great Room complete with built-in entertainment center, cozy fireplace, modern kitchen with breakfast bar and bright windows to the front and back yards. Master suite privately located at one end of the home includes tiled master bath with corner shower, soaking tub, dual sinks and spacious walk-in closet. Two additional bedrooms located at the opposite end of the home, with walk-in closets, and Jack-n-Jill bath with private ensuite vanities. Laundry room with built in cabinetry; half bath for guests, and attached 2-car garage. Meander down the pathway to the 26'x52' carpenter's dream workshop complete with guest quarters and office. Easy care, low maintenance landscaping. Make owning your own vineyard a reality! 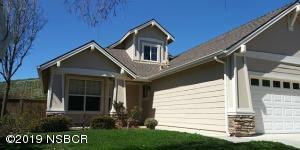 Wine country dreams come true at Starfire Vineyards, offered fully furnished and move in ready. Public Remarks: A versatile 'mom-mobile', a rough-and-ready 'F-350' or a sleek 'Mercedes-Benz SL', all would look good and at home in the driveway of this move-in ready Ranch-House! Sitting jauntily between Los Olivos and the Casino gives this green-pasture bedecked home a central location. From here it's easy to bounce around to the many fun and beautiful attractions of the Santa Ynez valley. Enjoy the virtual tour video, review the floor plan and the pictures - then come visit this alluring opportunity to have your own ranchette! Directions to Property: Travel Highway 246 to Refugio Road and head north for about 1.3 miles and you'll find '1525' on your left just past Longview Road. 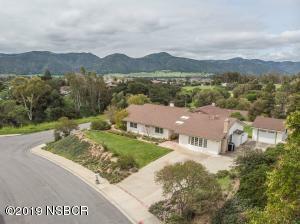 Public Remarks: Enjoy the spectacular, panoramic views of the Santa Ynez Valley from this beautifully-appointed 3 bedroom, 2 bath home. Perfect for entertaining with amazing attention to detail, the house has a modern custom kitchen w/granite countertops, stainless steel appliances, a built in wine fridge, an indoor/outdoor bar, a formal/informal dining room, a utility room/pantry, new DW, new W/D. Lounge in the expansive living room or cozy family room, both w/fireplaces, crown molding and stone flooring. Additional details including dual pane windows, built in bookcases, bedroom dressers and French doors throughout. The large master suite features an extra large walk-in closet, a luxurious stone bathroom, a private sitting area & its own outdoor patio, fully-fenced, pet friendly yard. Directions to Property: Rt. 246 to Atterdag to Chalk Hill Rd. 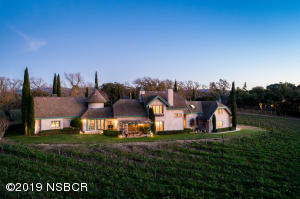 Santa Ynez Ranchette with Vineyard on five level acres. This Mediterranean style home features a sunny open floor plan, 4 bedrooms, 2.5 bathrooms. 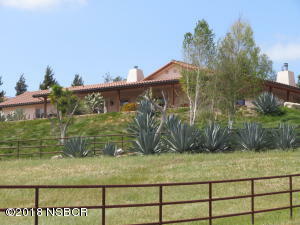 Public Remarks: Santa Ynez Ranchette with Vineyard on five level acres. 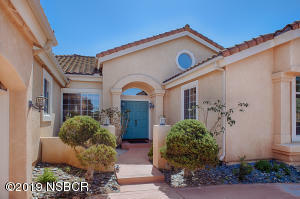 This Mediterranean style home features a sunny open floor plan, 4 bedrooms, 2.5 bathrooms. The living room, family room and master bedroom suite open through french doors to the patio pool/spa and rear lawn. The formal dining room, breakfast area and family room are all convenient to the gourmet, center Island kitchen. Fireplaces are well placed in the family room and Master Bedroom. Additional features include an office, laundry room, and side entry three car garage. Equestrian facilities include a six stall barn with tack room, paddocks, storage building, easy trailer turn around and a short walk to your horses. You will also find a work shop for all your hobbies. Chicken coup and duck pond round out all of your 4H projects.